For heroism, meritorious service or meritorious achievement after 30 September, 1981. 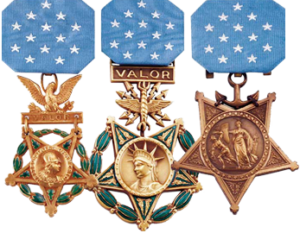 The Air Force Achievement Medal is awarded to members of the Air Force for acts of valor, for meritorious service or for meritorious achievement. 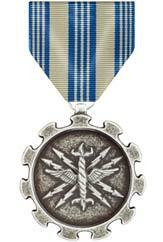 It shares the same level of precedence as the achievement medals of the Army, Navy/Marine Corps, and Coast Guard.